Practical and affordable, gas cooking is not just the sensible option it is also the professionals’ choice. Gas is super responsive to cook with and allows you to make minute adjustments to your boiling, simmering and frying whenever you need to. There is a range of colour finishes in this collection for you to choose from and dishwashable enamel or professional cast iron pan supports to decide on to finish the look. 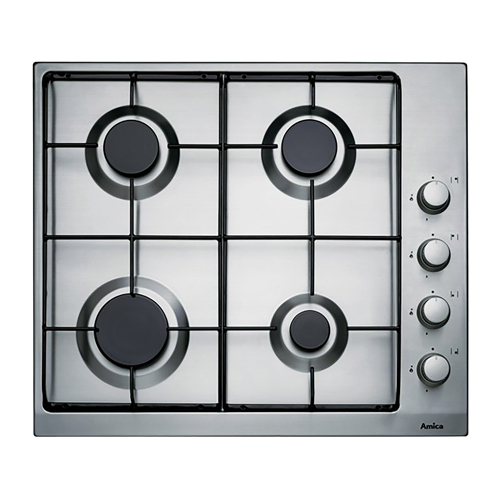 The PGX6610 is a four burner gas hob in stainless steel. The hob provides functional and efficient cooking, side controls for safety, dish washable enamel pan supports and flame failure as standard. 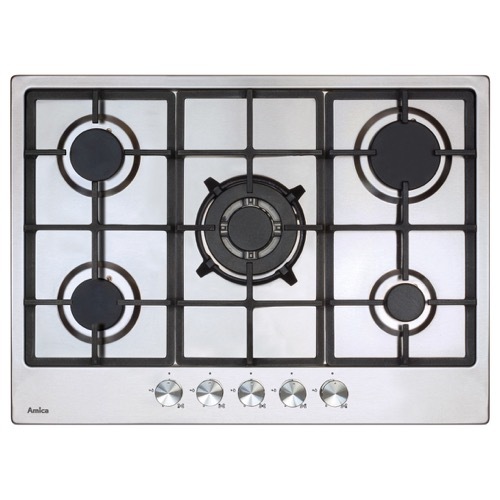 The PGZ6412 is a four burner, sleek stainless steel gas hob with a stylish design and front control. The hob also a range of different burners to accommodate cooking needs, along with robust cast iron pan supports and automatic ignition. 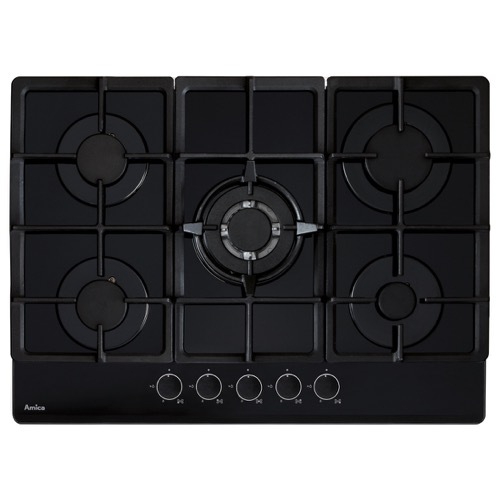 The PGZ6412B is a four burner, black gas hob with a stylish design and front control. The hob also a range of different burners to accommodate cooking needs, along with robust cast iron pan supports and automatic ignition. 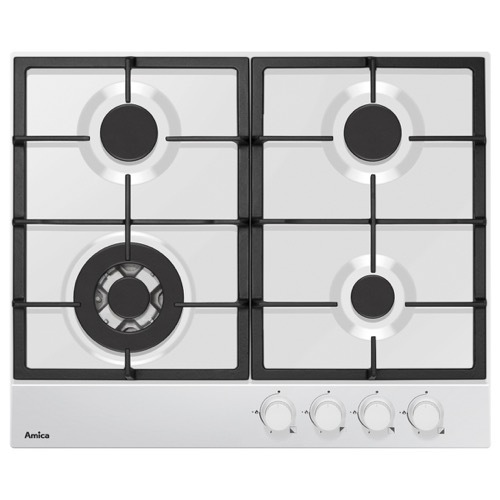 The PGZ6412W is a four burner, sleek white gas hob with a stylish design and front control. The hob also a range of different burners to accommodate cooking needs, along with robust cast iron pan supports and automatic ignition. 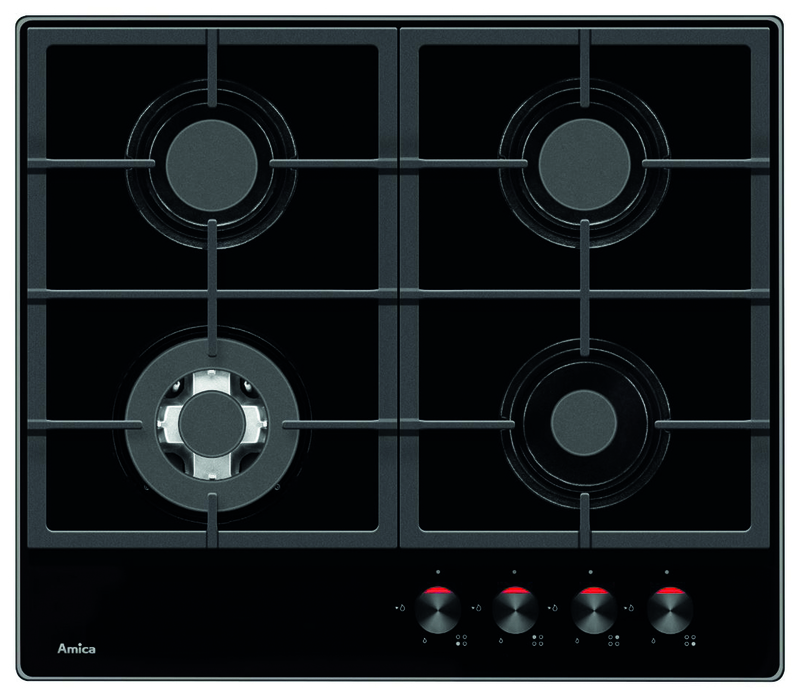 The PHCZ6512 is a four burner gas on glass stylish hob which modern control knobs. The appliance has different size burners to meet all your cooking needs along with cast iron pan supports, automatic ignition and flame failure as standard. 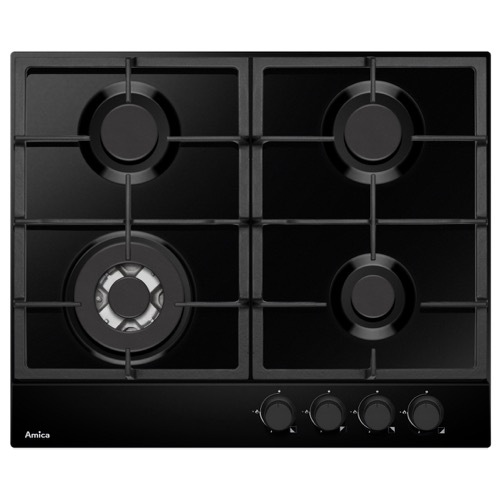 The AGH7100SS is a 70cm gas hob with 5 burners ranging from a wok burner, which is perfect for stir fries and small burners, ideal for simmering soups to meet all your cooking needs. The sleek stylish hob also has round, easy to use front controls and robust cast iron pan supports giving it the premium look and feel. 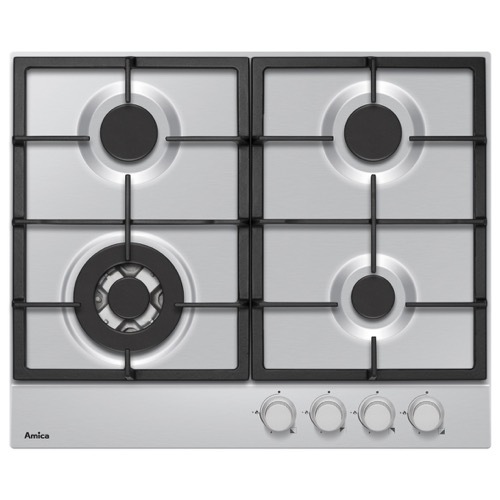 The AGVH7300BL is a 70cm gas on glass hob with a wide range of 5 burners to accommodate every size of pan needed for cooking. The sleek glass top makes it super easy to clean and also give it the stylish look, while being practical with the front rotary controls and robust cast iron pan supports.